Bill Priestap, assistant director of the FBI Counterintelligence Division, is retiring by the end of the year. After his departure, there will be no top FBI officials left from the group that investigated Hillary Clinton for mishandling classified information and launched a counterintelligence probe into the Trump administration. “Assistant Director Bill Priestap became eligible to retire and has chosen to do so after 20 years of service,” the FBI said in an emailed statement, referring to the FBI rule that employees over 50 years of age can retire after 20 years of service with a full pension. Priestap was at the center of the Clinton and Trump probes from 2015 to 2017. He was involved in crafting then-FBI Director James Comey’s speech exonerating Clinton in July 2016. He was also the direct supervisor of then-Deputy Assistant Director Peter Strzok, the lead agent on both investigations, codenamed “Midyear” and “Crossfire Hurricane,” respectively. But Priestap was also, to some degree, cut out of the loop. His boss at the time, then-Deputy FBI Director Andrew McCabe, picked as his counsel then-FBI lawyer Lisa Page, who “was to serve as a liaison between the Midyear team and McCabe,” she told the Justice Department’s Inspector General office. Page was later revealed as a mistress of Strzok and text messages between the two showed bias against Trump and for Clinton, catapulting both into the media spotlight. Priestap, on the other hand, has managed to keep a relatively low profile. The House Judiciary and House Oversight committees questioned Priestap behind closed doors for several hours on June 5, but only three lawmakers attended: Jim Jordan (R-Ohio), Mark Meadows (R-N.C.), and Raja Krishnamoorthi (D-Ill.), The Hill reported. 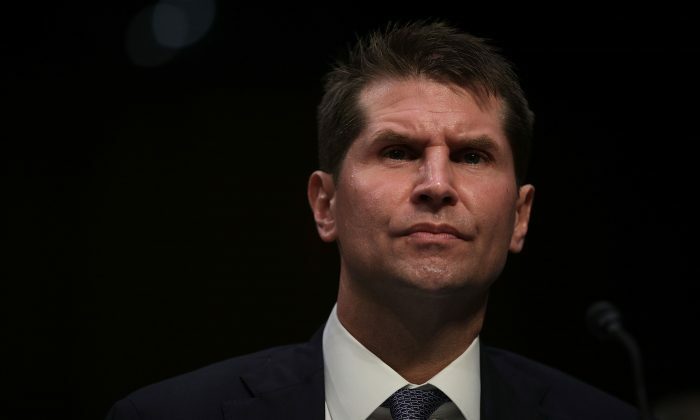 Priestap is married to Sabina Menschel, who heads a Washington private investigative agency and is a former special adviser to the FBI, according to her biography. Her father is Richard Menschel, Goldman Sachs investment banker, philanthropist, and a donor to the Democratic Party.